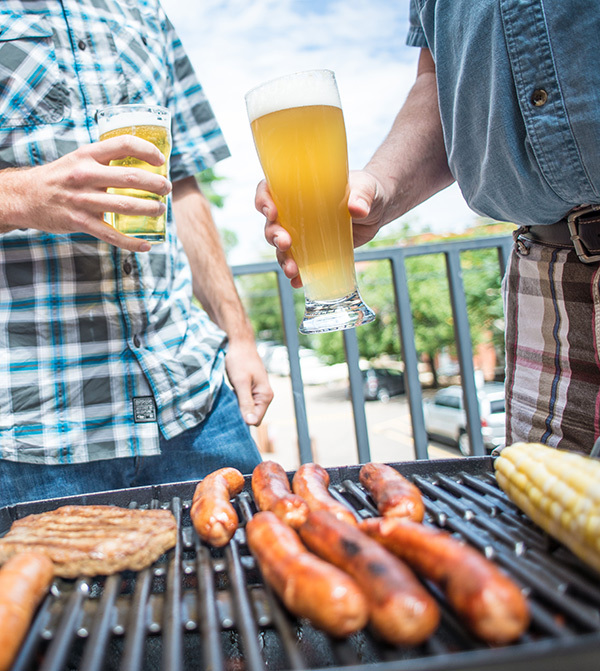 Whether you prefer cooking in the backyard, at a tailgate party, at a rustic campsite, at the beach or by the pool, chances are you’ll be grabbing a beer and firing up the grill at some point this holiday weekend. 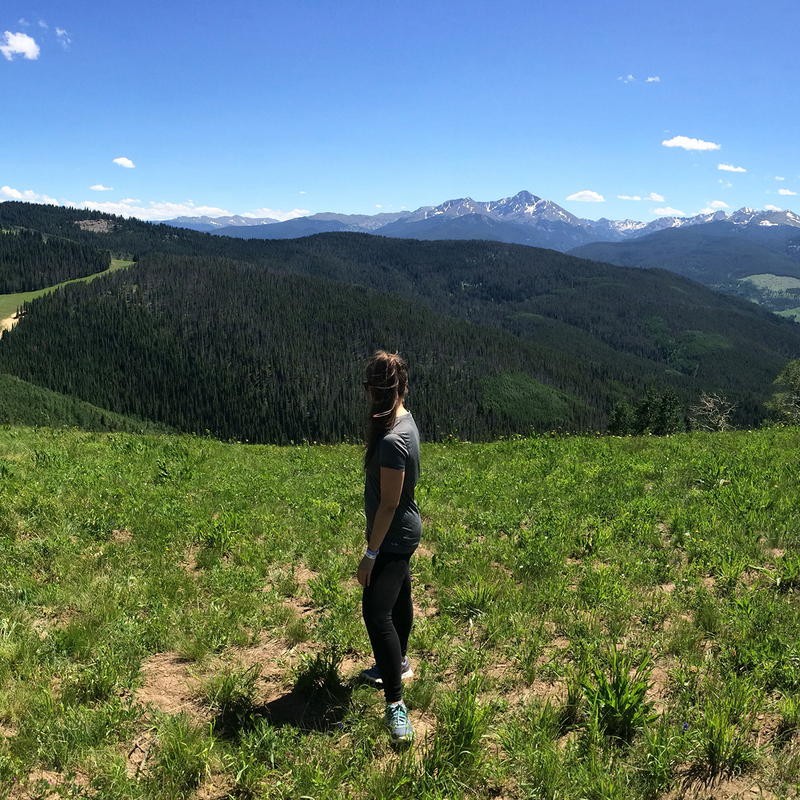 Hot dogs are truly a summer staple. These goodies are usually seasoned with salt, garlic and paprika. Since hot dogs have German roots (Frankfurter anyone? ), we’ll pay homage with a German-style hefeweizen. These beers are light enough to not overpower a simple dog, but flavorful enough to stand up to whatever toppings you throw at them. The subtle sweetness from these beers can tone down the saltiness of a hot dog. Since ribs can be a symphony of flavors, a balanced American amber ale is just the beer to cover your bases. The slight sweetness and caramel characteristics compliment the naturally sweet pork and any brown sugar or molasses from a rub or barbecue sauce. Subtle hop bitterness helps cut through the fat of the ribs and emphasize spiciness. 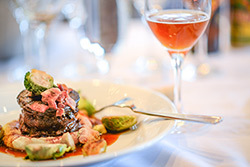 Wine barrel-aged beers have a boldness that pairs nicely with a meaty steak. These beers can stand up to a steak without taking away from it. The fruit flavors and slight sour characteristics commonly present in these beers can play up flavors from any marinade as well. Although you can do a lot with corn on the cob, nothing beats the classic combo of corn, a bit of butter and salt. 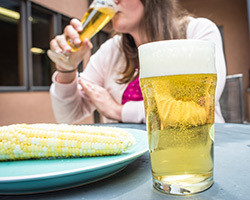 A slightly sweet, earthy lager complements the sweetness of the corn, which is amplified by the grill. And since lagers are light-bodied and crisp, they’re not going to wreck your palate for the simple flavors of the corn. With Americans eating 50 billion burgers per year, the odds are good you’ll be grilling at least one this summer. 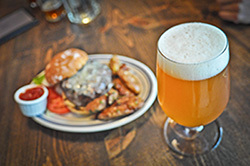 An American pale ale’s bitterness contrasts nicely against any char on the burger. Since they’re not overly hoppy, pale ales can work with a variety of cheeses and toppers. A mild citrus flavor cuts through any fattiness of a beef or wild game burger, but won’t overpower a turkey or veggie burger. Shish kebab usually consists of steak, chicken or shrimp with veggies or fruits, often including pearl onions, tomatoes, button mushrooms, bell peppers and pineapple. An American brown ale can handle whatever creative kebab you throw at it. The nutty flavors of these beers are nice for beef, but are not too overpowering for poultry or seafood. The toasty maltiness of a brown ale pairs nicely with many sweeter marinades. Any natural sweetness from your vegetables will be amplified by the slight sweetness of these beers.